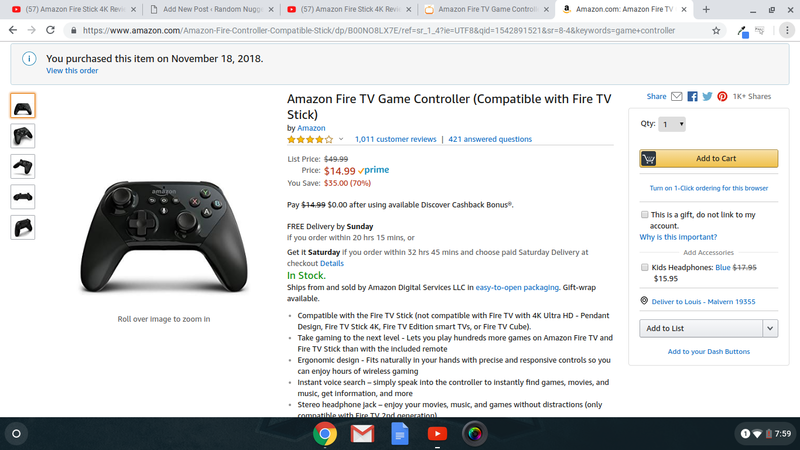 The Amazon Game Controller is only compatible with some Fire Sticks. 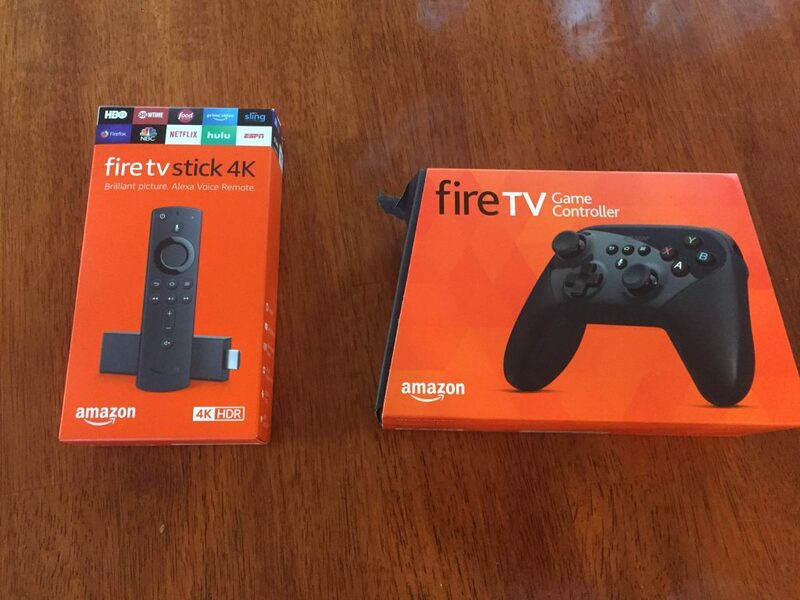 “Why won’t the amazon’s own controller pair with the Fire Stick 4K?”. That was the question I was asking when I spent 30 minutes trying to get amazon’s gaming controller to pair with my Fire Stick 4K. As dumb as is sounds, Amazon dropped support for it’s own branded game controller. Evidently Amazon used a proprietary connection protocol, not just a standard Bluetooth connection found in other game controllers. The worst part about it is that it is easy to miss the disclaimer on their site and as of today dropped the price to $14.99, Probably for this reason. I am not sure what you could use this for anything other than on an older fire Stick. But even then, what happens when/if they update the software on those devices. Apparently Amazon dropped support through a software update. If you take a look at the listing as of November 22nd 2018, you can see in the first bullet point in parenthesis “not compatible with Fire TV with 4K Ultra HD – Pendant Design, Fire TV Stick 4K, Fire TV Edition smart TVs or Fire TV Cube” This should be in the parenthesis in the title listing not “(compatible with Fire TV Stick)”, that’s very confusing. Anyway, a quick call to Amazon and the game controller is on its way back. I purchased a different game controller to try outwith the Fire Stick 4K. The Matricom G-Pad. I will be testing that out when it arrives and update this page to let everyone know. Previous Post: What Can I Actually Tow? Next Post: Will Echo Auto be a disappointment or a success?